You may decide that one or two of the instruments just described are worth using. 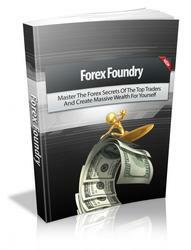 You also should know how other players use these instruments and how that plays out in the Forex market. In late November 2001, I noticed that the yen had been steadily weakening against the U.S. dollar for the entire month. On the third Friday of the month, I was surprised to see the yen move in a strange fashion. It would start gaining value rapidly, and just as it appeared to break out into a higher trading value, it would suddenly fall back to lower levels. This happened four or five times in late New York trading alone. On the charts, it looked like the yen would rise and then hit an electric fence. I had never seen anything like it. What was going on? I then heard a rumor that explained this unique event. It turned out that a Japanese importer had taken out a large put option to protect his revenue in U.S. dollars. To ensure that this option didn't expire worthless, he had enlisted a few large banks to protect his position. Whenever the yen weakened to the point of threatening his position, the banks would start selling dollars, thereby causing the yen to strengthen. This is a pretty extreme example, but traders must understand how their trading tools interact with others. There is no doubt that the increased popularity and sophistication of financial derivatives has complicated trading, especially in price discovery. 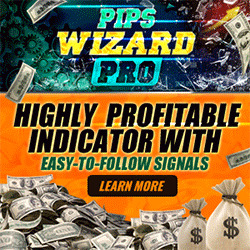 Many inexperienced Forex traders concentrate on the spot vehicle because of its relative simplicity, but this focus handicaps their ability to trade effectively. Why? Spot is traded "over the counter" (OTC), meaning outside an organized exchange. No one can really keep track of it, because many of the trades are occurring out of sight, in different locations, and so on. On an exchange, however, important information can be gleaned from the ebb and flow of derivative trading and posted for investors to see. The Chicago Mercantile Exchange, for example, reports outstanding positions for options. This indicates what the market thinks will happen in the future. In the fragmented, decentralized Forex spot market, however, these kinds of indicators do not exist. A good trader knows that it's not just his investment that's important, but where he chooses to make his investment.